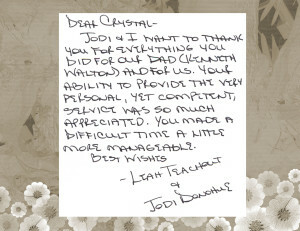 Jodi & I want to thank you for everything you did for our dad (Kenneth Walton) and for us. 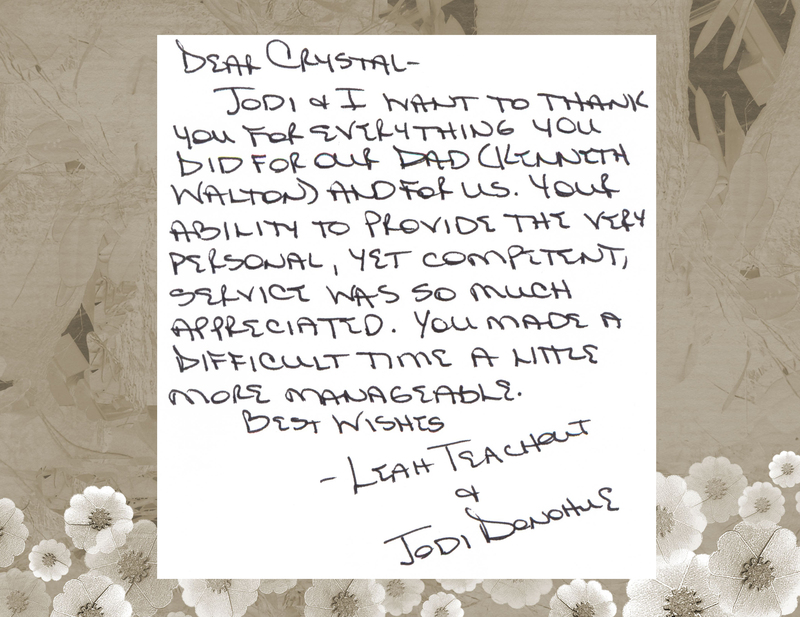 Your ability to provide the very personal, yet competent, service was so much appreciated. You made a difficult time a little more manageable.